A psychotherapist interviews a variety of women to understand the nature of female friendship. Why does anyone count the number of friends she has? Of course, one modern reason is social media, where friends and followers, likes and shares are visible to us and anyone else who happens to take a look. When the poet Alex Morritt asked in his book Impromptu Scribe, “How can anyone truly claim to have eleven hundred friends?” he was of course pointing out the oddness of the very concept of “friend” these days. [i] The term, once reserved for people you know and like, is used now to describe someone you may never have met in person, who might be vaguely connected to someone else you know, who likes something you’ve posted on social media. A travel agent who has a large network of women and men she calls her “dearest friends” said that she could not imagine a life without them. “I feel sorry for women who don’t have a bunch of friends. They must be so sad.” There is a belief that the more friends you have, the happier you are, but is that an accurate perception? It turns out that the number of friends is less important than the role they play in your life. Research has found that friendships support mental and physical health in a variety of ways. 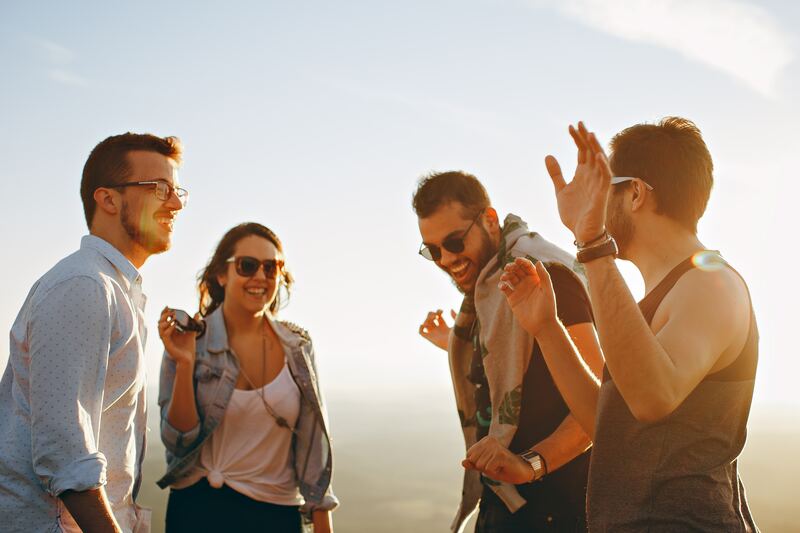 [ii] We know, even without the research confirming it, that friends help us process emotions, but in many cases they also help us stay physically healthy. One study found that a lack of social connection was worse for physical well-being than smoking, obesity, or high blood pressure. [iii] The connection is not magical. Social support can help us manage stress, which can reduce the impact of stress hormones, high blood pressure, and other potential physical damage. [i] Alex Morritt, Impromptu Scribe (Amazon Digital Services, 2014). [ii] D. Umberson and J. K. Montez. (2010), “Social Relationships and Health: A Flashpoint for Health Policy,” Journal of Health and Social Behavior 51 (Supplement, 2016), http://doi.org/10.1177/0022146510383501; J. S. House, K. R. Landis, and D. Umberson, “Social Relationships and Health,” Science 29 (July 1988): 540–545. Excerpted from I KNOW HOW YOU FEEL: The Joy and Heartbreak of Friendship in Women’s Lives by F. Diane Barth. Copyright © 2018 by F. Diane Barth. Reprinted by permission of Houghton Mifflin Harcourt Publishing Company. All rights reserved. F. Diane Barth, L.C.S.W., is a psychotherapist and psychoanalyst in private practice in New York City where she works with adults and adolescents, individuals and families.